Faughs GAA Club » Faughs Summer Camps 2018 – Book online or offline today! Faughs Summer Camps 2018 – Book online or offline today! 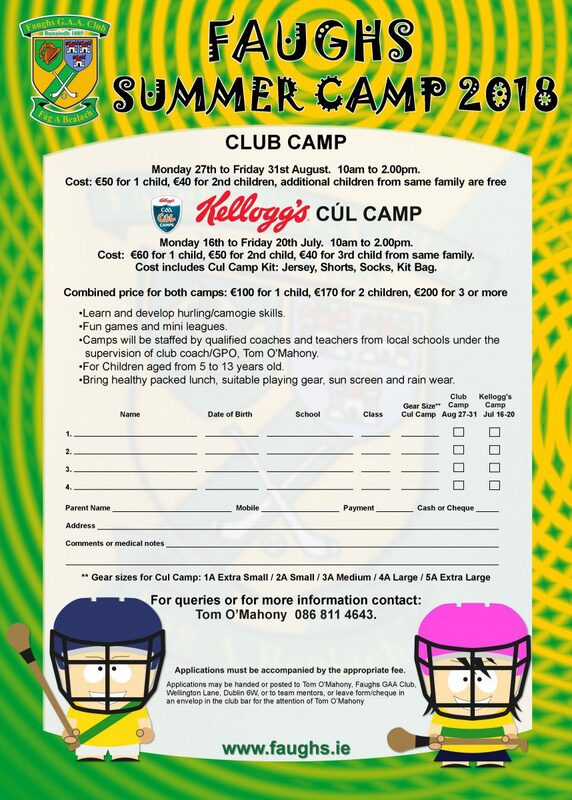 Alternatively, you can book your child’s place on our fantastic summer camps by downloading the form below and returning it a team mentor or to the Club Bar for the attention of Tom O Mahony, Club GPO.